There Will Be Growth, But It Will Be Slower, Fed Says : The Two-Way The good news is that Federal Reserve policymakers think the economy will keep growing through next year and into 2012. The bad news is that they think unemployment will stay uncomfortably high. 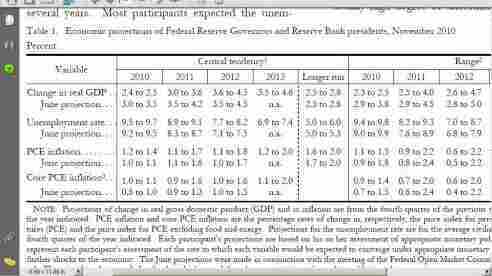 The good news is that Federal Reserve policymakers think the economy will keep growing through next year and into 2012. The bad news is that they've lowered their growth forecasts for 2011 and think the nation's jobless rate will stay uncomfortably high. As the Associated Press says, the central bankers are "more pessimistic."